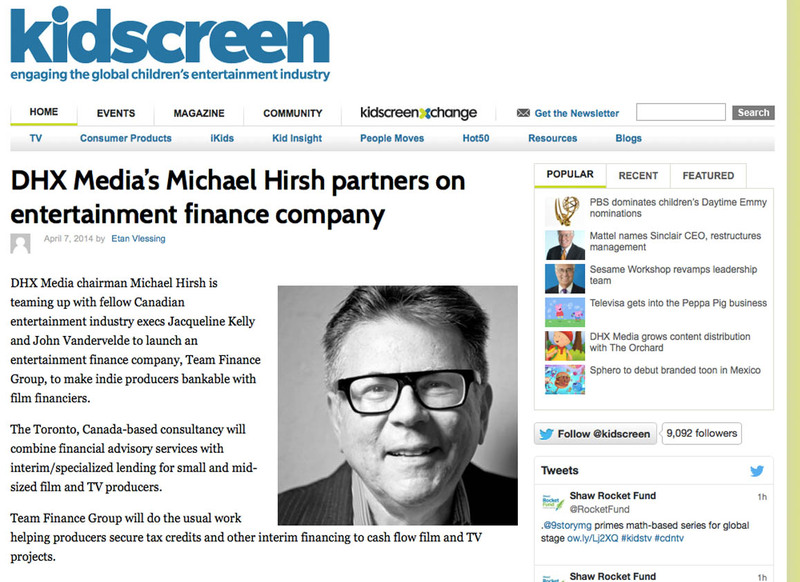 DHX Media chairman Michael Hirsh is teaming up with fellow Canadian entertainment industry execs Jacqueline Kelly and John Vandervelde to launch an entertainment finance company, Team Finance Group, to make indie producers bankable with film financiers. The Toronto, Canada-based consultancy will combine financial advisory services with interim/specialized lending for small and mid-sized film and TV producers. “There are projects that require more expertise and financing and we can bring that to the table,” says Hirsh.